" Rust Bullet WhiteShell Gloss", anti-rust treatment industrial rust paint coating. The Rust Bullet Six Shooter Combo Pack rust paint, offers you the ultimate convenience with NO WASTE! If you need to take your rust treatment project in stages then the six shooter metal paint combo gives you that flexibilty. 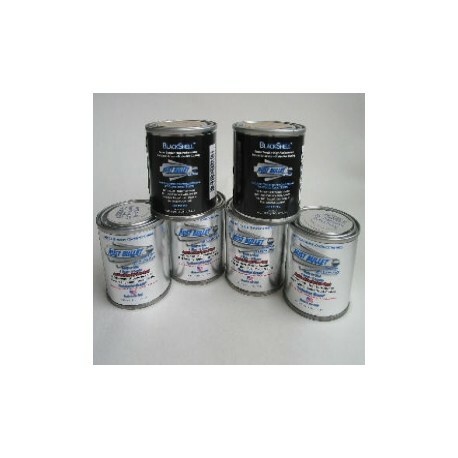 The Six Shooter Combo Pack contains two-four ounce cans(118ml) of Rust Bullet Blackshell industrial coating anti rust paint and four-four ounce cans(118ml) of Rust Bullet Automotive rust inhibitive coating enough to cover approximately six square feet per individual can (36 square feet per package), using the minimum recommended two coat application. Our automotive formulation contains more aluminium than our Standard formula, providing a smoother finish usually desired for automotive exterior body panels. BlackShell can be applied over painted or unpainted surfaces is UV resistant and can be used as a stand alone protective coating that will protect your iron and steel. For the ultimate protection, simply apply BlackShell as a topcoat over 2 coats of Rust Bullet Stanard or Automotive Rust Inhibitive Coating to create the strongest armour tough, chip resistant protection against rust and corrosion ever formulated. The Six Shooter metal paint Combo Pack contains both Rust Bullet formulations so you can be armed and ready for any small corrosion protection project or touch up. 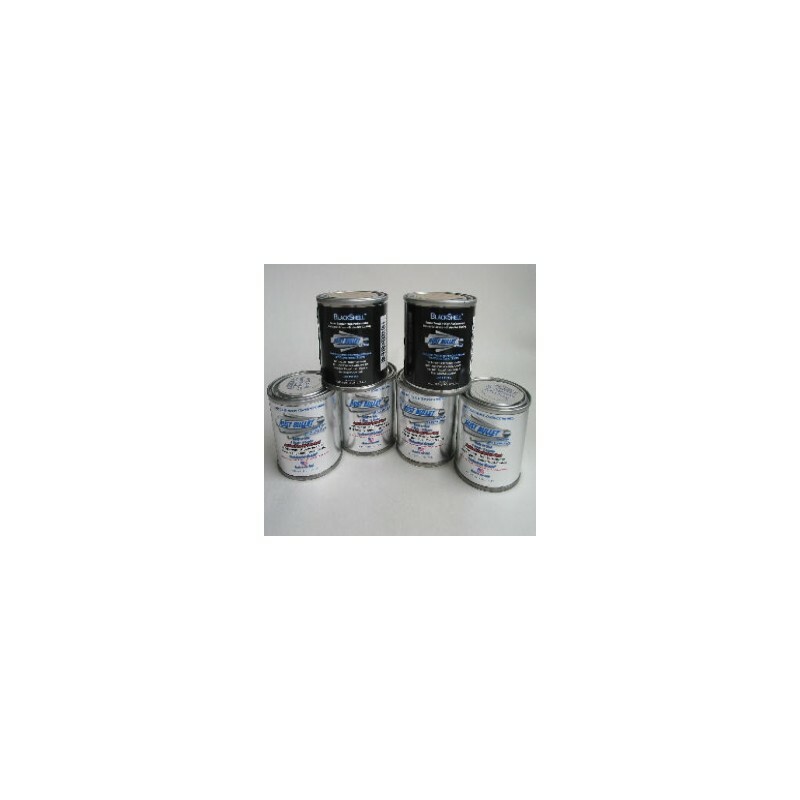 These convenient four ounce cans allow you to open small amounts of Rust Bullet rust paint as it is needed, providing you the ultimate convenience with NONE of the WASTE! Rust Bullet rust treament and corrosion inhibitor: the choice of professional vehicle restorers worldwide. Rust Bullet, rust paint how it works to stop rust and prevent corrosion.